Kurdistan was erased from world maps after World War I, when the victorious powers carved up the Middle East, leaving the Kurds without a homeland. Today the Kurds, who live on land that straddles the borders of Turkey, Iran, Iraq, and Syria, are by far the largest ethnic group in the world without a state. Renowned photographer Susan Meiselas entered northern Iraq after the 1991 Gulf War to record the effects of Saddam Hussein’s campaigns against Iraq’s Kurdish population. She joined Human Rights Watch in documenting the destruction of Kurdish villages (some of which Hussein had attacked with chemical weapons in 1988) and the uncovering of mass graves. Moved by her experiences there, Meiselas began work on a visual history of the Kurds. The result, Kurdistan: In the Shadow of History, gives form to the collective memory of the Kurds and creates from scattered fragments a vital national archive. 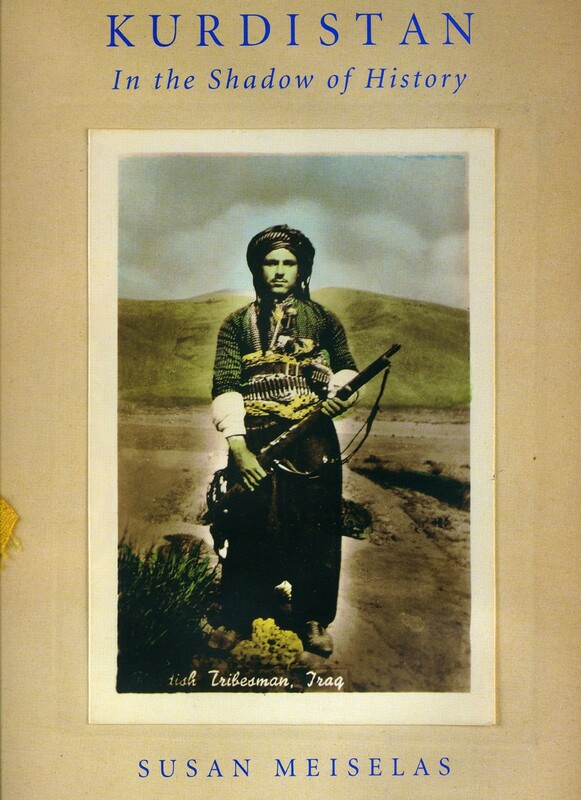 In addition to Meiselas’s own photographs, Kurdistan presents images and accounts by colonial administrators, anthropologists, missionaries, soldiers, journalists, and others who have traveled to Kurdistan over the last century, and, not to forget, by Kurds themselves. The book’s pictures, personal memoirs, government reports, letters, advertisements, and mapsprovide multiple layers of representation, juxtaposing different orders of historiographical evidence and memories, thus allowing the reader to discover voices of the Kurds that contest Western notions of them. In its layering of narratives—both textual and photographic—Kurdistan breaks new ground, expanding our understanding of how images can be used as a medium for historical and cultural representation. A crucial repository of memory for the Kurdish community both in exile and at home, this new edition appears at a time when the world’s attention has once again been drawn to the lands of this little-understood but historically consequential people. "An extraordinary visual history of an oppressed people....This project is the only living archive for collective Kurdish memory." "An extraordinarily handsome volume. In a labor of love, Meiselas spent six years combing libraries, archives and family collections for old photographs, postcards, documents, newspaper clippings . . . to produce a visually stunning montage designed to prick the conscience of the world."